Your mobile calls and texts can be (and probably are being) snooped and stored, your email can be hacked, your tweets and Facebook posts are available for all the world to see. If you consider bringing your client communications into this realm, what ethical concerns do you need to address? 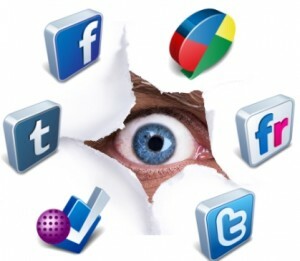 If the concept of privacy is not totally extinct, it is certainly on the endangered list. All therapists, regardless of age or stage or whether we were trained in this century or another, find ourselves practicing in a digital world. Even in this early part of the 21st century, the list of digital communications applications – mobile devices, email, texting, Facebook, Twitter, Skype, cloud computing, electronic medical records, webcams, etc., etc. – is endless and still growing. As our careers progress, the proliferation of such technologies is likely to continue to challenge our capacity to stay current. With the introduction of each innovation, the threats to reasonably error-free practice will continue to multiply. As is the case with most innovations, there are benefits and there are risks. The benefits are usually very seductive, promising increased speed, efficiency, and convenience. The risks are usually hidden, requiring thoughtful consideration before they show themselves. The point here, within the context of preventing medical errors in behavioral health, is that the use of this technology has become so routine that clinicians might adopt it mindlessly without carefully thinking through the potential consequences in therapy situations. Sometimes we may even make a conscious decision to trade security for convenience. The results can include unanticipated breeches of confidentiality or the transmission of private information to unintended parties, sometimes leading to severe damage to clients. Among the most elemental foundations of psychotherapy is the expectation that what is communicated with one’s therapist will remain private. Confidentiality violations are a major source of practice error and highly likely to cause harm to patients. There are actually three separate concepts here: privacy, confidentiality, and privileged communication. 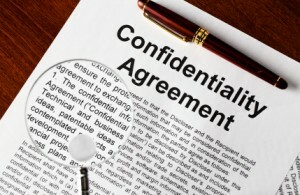 Confidentiality is an ethical term which denotes a contract between the client and the therapist in which the therapist promises to keep all utterances confidential, except those disclosures required by law. It is a principle given the most attention in almost all ethics codes and standard of care documents. According to Bernard and Goodyear (2008), this is so because confidentiality represents the essence of psychotherapy – a place where secrets and hidden fears can be disclosed. In more recent, increasingly litigious times, confidentiality has become less of a sacred trust and more of a “step-sibling to safety and judicial judgment.” Nonetheless, its role in the practice of psychotherapy has become no less central, only more complicated. 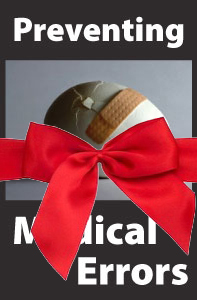 Now the boundaries between the traditional therapeutic contract and considerations of legal liability must be mediated. Privileged communication is a statutory term that refers to protecting clients from having their confidences publicly revealed during legal proceedings without their permission (Gladding et al., 2001, p. 20). Where such laws apply – and there are a large number of states where they are not legally supported – therapists are prevented from testifying in court about clients without their consent. (1) When the person licensed or certified under this chapter is a party defendant to a civil, criminal, or disciplinary action arising from a complaint filed by the patient or client, in which case the waiver shall be limited to that action. (2) When the patient or client agrees to the waiver, in writing, or, when more than one person in a family is receiving therapy, when each family member agrees to the waiver, in writing. (3) When, in the clinical judgment of the person licensed or certified under this chapter, there is a clear and immediate probability of physical harm to the patient or client, to other individuals, or to society and the person licensed or certified under this chapter communicates the information only to the potential victim, appropriate family member, or law enforcement or other appropriate authorities. There shall be no liability on the part of, and no cause of action of any nature shall arise against, a person licensed or certified under this chapter for the disclosure of otherwise confidential communications under this subsection. Three items are of note here. 1) Severe harm can come to clients whose therapists do not protect their privacy, ranging all the way from embarrassment to suicidal acts. 2) Harm is done to the profession when therapists demonstrate any disregard for the principles of confidentiality. 3) Confidentiality and its limits must be discussed in the first session of therapy in a competent informed consent process. Informed consent will be the topic of a detailed section later in this course. Also relevant to a discussion of privacy and confidentiality are the areas of social media use, various forms of teletherapy, and the electronic storage and transmission of private health information. These topics will be discussed later in this course as well. Amidst all of the complexities of HIPAA legislation, one consideration will be briefly noted here: “routine” notes vs. “psychotherapy” notes. In short, routine notes are expected to be surrendered to outside parties and psychotherapy notes are expected to remain in the private records of the psychotherapist. Zuckerman (2009, p. 74) offers practical suggestions for sequestering sensitive therapy information that will provide more privacy protection in most cases from routine notes, which contains the nuts and bolts of a regular health care record. Routine notes: If you mainly record the formalities of the therapy such as your interventions and the client’s responses you may feel comfortable in disclosing this to an insurer and so you have no need for records beyond the routine progress note. • But you may want to share the information with professional students for training, or find value and meaning in these notes as you review them…. …the information should be kept in separate psychotherapy notes. Clearly, the failure to arrive at an accurate diagnosis – or diagnoses, in many cases – can be a leading cause of error in behavioral health care. According to the introductory section of the Diagnostic and Statistical Manual of Mental Disorders, Fifth Edition (DSM-5), (American Psychiatric Association, 2013), “Reliable diagnoses are essential for guiding treatment recommendations, identifying prevalence rates for mental health service planning, identifying patient groups for clinical and basic research, and documenting important public health information such as morbidity and mortality rates” (p. 5). To make matters even more complex, DSM-5 recognizes that the latest formulations of mental disorders now conceptualize “many, if not most, disorders on a spectrum with closely related disorders that have shared symptoms, shared genetic and environmental risk factors, and possibly shared neural substrates… In short, we have come to recognize that the boundaries between disorders are more porous than originally perceived” (p. 6). Porous boundaries? One example of this is the DSM-5 category autism spectrum disorder, formerly split into the DSM-IV categories of autistic disorder, Asperger’s disorder, and pervasive developmental disorder not otherwise specified. DSM-5 instructs that individuals formerly diagnosed with one of those DSM-IV categories should now be given the diagnosis of autism spectrum disorder. There is one residual category that can be used for individuals who have “marked deficits in social communication, but whose symptoms do but otherwise meet criteria for autism spectrum disorder” (American Psychiatric Association, 2013, p. 51). That category is social (pragmatic) communication disorder. The point here is that the failure to make an accurate diagnosis can be a significant source of error in mental health practice. Diagnosis is challenging on its own, but as time goes on and diagnostic conceptualizations change, clinicians have to engage in perpetual study and training or risk falling behind. Risk areas include inadequate familiarity with contemporary diagnostic science, failure to detect the presence of multiple pathologies, and insufficient cultural competence in caring for culturally diverse patients and families. All of these areas can be addressed by training, experience, and clinical supervision. Such errors of omission or commission can result in lasting damage to clients just like those that occur in the medical arena. Diagnostic errors lead directly to one of two outcomes: either applying improper – and therefore ineffective and unneeded – treatment, and/or the failure to apply effective treatment. Breaches of privacy and confidentiality can precipitate a cascade of adverse events for clients, often reaching far into not only their personal lives, but even into relationship and occupational spheres. 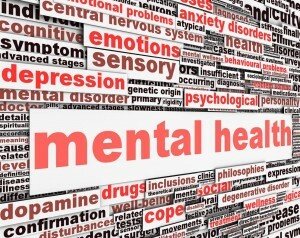 Mental health professionals are required by several levels of ethical and legal standards to maintain accurate clinical records in order to assure continuity in the course of a client’s treatment. The failure to do so can cause harm resulting from the loss of a clear and coherent course of therapy. Failure to comply with mandatory abuse reporting laws and inadequate assessment of potential for violence lead to obvious dangers to clients and others. Finally, confusing medical conditions with psychiatric ones can lead to damaging – even tragic –consequences for clients due to the failure to offer or refer for appropriate treatment. 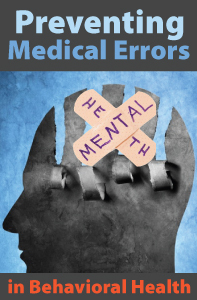 Preventing Medical Errors in Behavioral Health, a 2-hour online continuing education course, is intended to increase clinicians’ awareness of the types of errors that can occur within mental health practice, how such errors damage clients, and numerous ways they can be prevented. 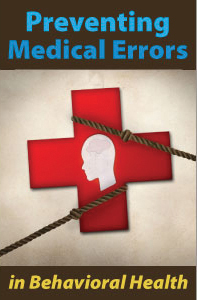 Its emphasis is on areas within mental health practice that carry the potential for “medical” errors. Examples include improper diagnosis, breach of confidentiality, failure to maintain accurate clinical records, failure to comply with mandatory abuse reporting laws, inadequate assessment of potential for violence, and the failure to detect medical conditions presenting as psychiatric disorders (or vice-versa). It includes detailed plans for error reduction and prevention like root cause analysis, habitual attention to patient safety, and ethical and legal guidelines. The course includes numerous case illustrations to help demonstrate common and not-so-common behavioral health errors and specific practices that can help clinicians become proactive in preventing them. 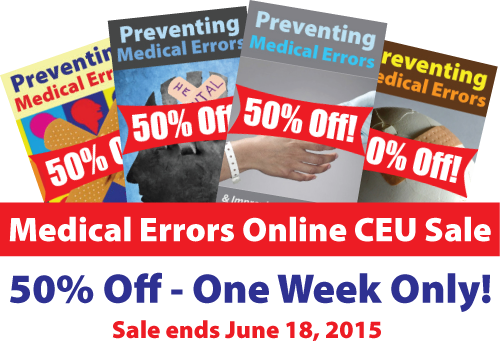 There is a new section on preventing medical errors in the use of technology. *This course satisfies the medical errors requirement for license renewal of Florida Mental Health Counselors, Social Workers & MFTs. Professional Development Resources is approved as a provider of continuing education by the Association of Social Work Boards (ASWB #1046); the National Board of Certified Counselors (NBCC #5590); the American Psychological Association (APA); the National Association of Alcoholism & Drug Abuse Counselors (NAADAC #000279); and the Florida Board of Clinical Social Work, Marriage & Family Therapy, and Mental Health Counseling (#BAP346). 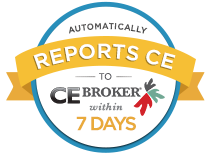 All courses are submitted to CE Broker within one week of completion.